Do you still look through your old yearbooks? Do you remember whose locker was next to yours? 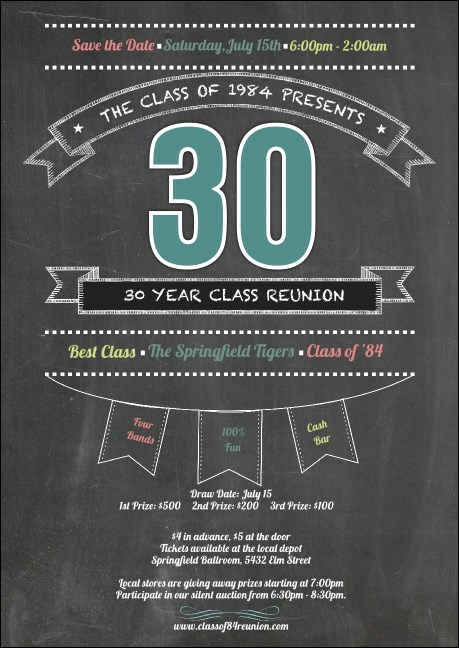 If you're organizing the big night, send out the Class Reunion Postcard. Remind all your old buddies of the event details with this colorful template with a chalkboard background. Cue up the best songs from your graduation year and get ready to party! Need tickets, flyers, or invitations? Order a Matching Event Kit from TicketPrinting.com.